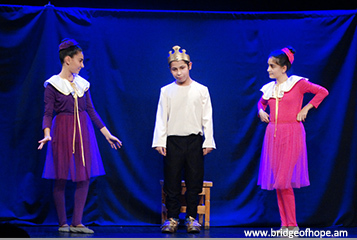 On the 5th of November at Yerevan State Puppet Theatre after Hovhannes Toumanyan "Bridge of Hope" NGO's Inclusive Theatre Troupe presented its new performance, “The Naked King” by Evgeny Shvarts. 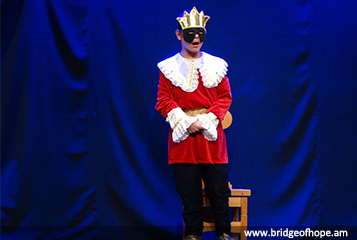 The performance was based on the Evgeniy Schwarz’s “The Naked King" play, by Hans Christian Andersen’s homonymous fairy tale. 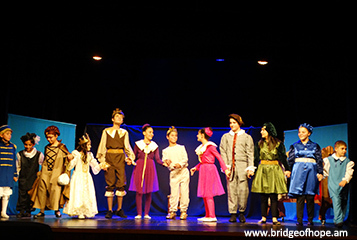 The theatrical form of presentation of the fairy tale allows demonstrating the audience the whole content and philosophy of the play through staged situations, characters, sharp and open dialogues, and quick actions. 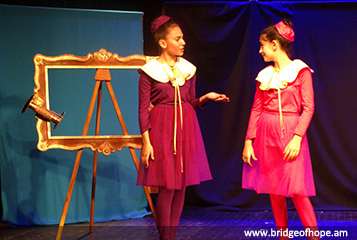 Our young actors are the students of different mainstream schools of Yerevan. Many of them were on stage for the first time. Among the audience were Ministry of Education and Science Arayik Harutyunyan, Deputy Minister of Labor and Social Affairs Zaruhi Batoyan, Ambassador Extraordinary and Plenipotentiary of the Czech Republic in Armenia. H.E. Mr. Petr Mikyska., representatives of international and local organizations, youth, parents, and children. 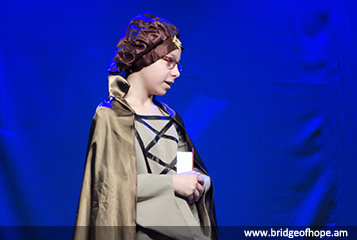 The “Bridge of Hope” NGO’s inclusive theatre troupe exists since 1997 and it is already more than two decades that it strives to change the wrong attitude towards children with disabilities and to promote their social inclusion in Armenian society. 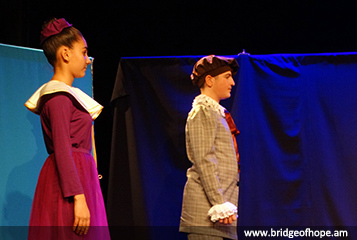 Up to date our inclusive theatre troupe has staged 25 plays by different outstanding authors and has performed for more than 250 times on different stages in Yerevan and Marzes, at schools, universities, cultural centers, as well as was invited to perform in Tbilisi and Istanbul. The performance was staged by the financial support of the Ministry of Culture of RA. The performance takes place within the framework of "Living Together, Learning Together" project through the cooperation of “Bridge of Hope” NGO and Danish “Mission East” NGO.